CHICAGO (WLS) -- Our guest this week on Newsviews is Stephen Curda the newly appointed director of the Illinois Department of Veterans' Affairs. He's a retired Army brigadier general who served more than 30 years in the military, including tours in Iraq and Afghanistan. Now he's leading a team that serves more than 720,000 veterans across the state. And he joins the department just as plans are in the works to rehabilitate the Illinois Veterans Home in Quincy. Thirteen residents there have died from Legionnaire's Disease since 2015. Two bills recently signed into law will speed up the design and construction process while also allowing for the purchase of a nearby nursing home to house some residents while the work is being completed. 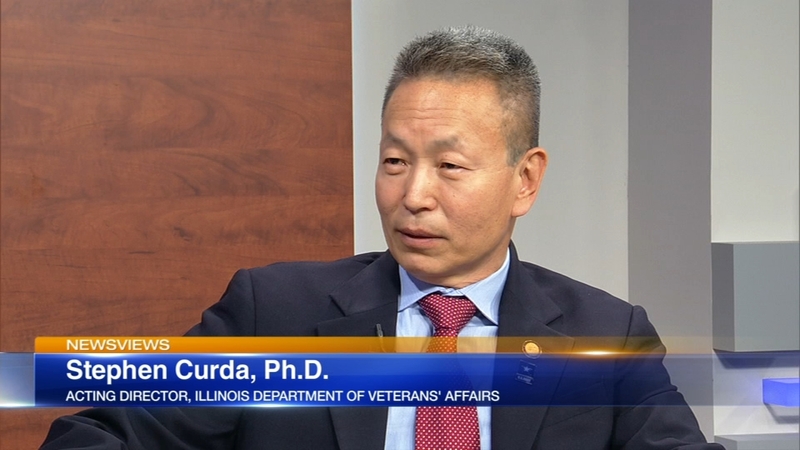 Director Curda joins ABC7 to discuss the Quincy Veterans' Home and what's being done to help. Our guest this week on Newsviews is Stephen Curda the newly appointed director of the Illinois Department of Veterans' Affairs.